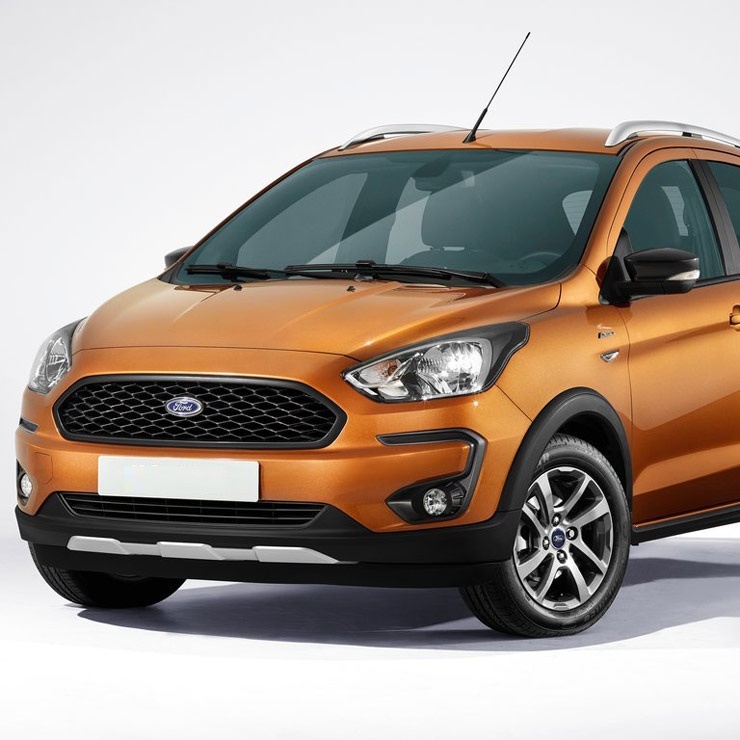 Ford India has opened pre-bookings for the Freestyle hatchback-based crossover. The car will be launched within the next few weeks, and is based on the Figo hatchback. Known as the Ka Cross internationally, the Ford Freestyle will take on the Hyundai i20 Active and the Honda WR-V in the Indian market. It’s Ford’s way of making the Figo platform relevant again. Both Honda and Hyundai have tasted success in the hatchback-based crossover segment with the WR-V and i20 Active respectively. Ford will aim at a similar success with the Freestyle that gets butch looks and additional ground clearance to become a more practical car for Indian conditions. The Freestyle will be positioned above the Figo in terms of price. The car is expected to be priced about Rs. 50,000 more than the Figo, variant to variant. We expect a starting price of about Rs. 6 lakhs, ex-showroom Delhi for the Freestyle. The car is likely to be equipped with airbags and ABS as standard across all variants while the top-end variants will get a range of additional safety features such as 6 airbags, traction and anti-rollover protection. The Freestyle will also debut a brand new petrol engine and gearbox combination, which will eventually be offered by the Figo and the Figo Aspire. The engine in question is the 1.2-liter Dragon unit that gets a 3-cylinder layout, and class leading power and torque figures of 95 Bhp and 120 Nm. This engine will be paired with a new 5-speed manual gearbox from Getrag. Ford may also offer a 6-speed, torque converter automatic gearbox eventually. The diesel engine will be the 1.5-liter TDCI unit with turbocharging as standard. This motor produces 98.6 Bhp of peak power and 205 Nm of peak torque, and gets a 5-speed manual gearbox as standard. The Freestyle will debut a brand new, touchscreen-based infotainment system with Ford’s SYNC3 interface. This system will also be on offer with the facelifted Figo and Aspire models.